After more than 4 years at Microsoft, Liddell is joining GM. 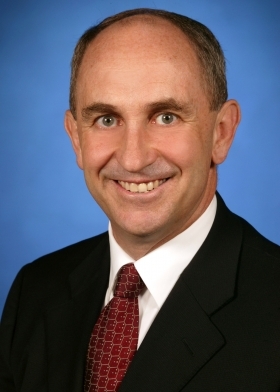 DETROIT -- General Motors Co. has appointed Chris Liddell, Microsoft Corp.'s finance chief, as vice chairman and CFO, replacing Ray Young. Liddell, 51, has served as Microsoft's CFO since May 2005. He had previously announced he was leaving the software company on Dec. 31. The hire brings another well known auto industry outsider to GM's shifting senior executive team at a time when the automaker has been struggling to close deals to sell key assets and regain sales momentum in the U.S. market. GM has been operating since July with a new board vetted by the Obama administration and, since the start of December, under a new chief executive in Ed Whitacre, who had spent a career at telecommunications provider AT&T. GM had been searching for a replacement for Young since at least September. Young became CFO in March 2008, taking over for Fritz Henderson, whose Dec. 1 ouster elevated Whitacre to the interim CEO post. Before joining Microsoft, Liddell was CFO at International Paper Co. He has also served as CEO of Carter Holt Harvey Ltd., a New Zealand wood and paper products company. "Chris brings a depth and experience to this job that were unmatched in our search for a new financial leader," said Whitacre, who is also GM's chairman, in a statement. "We're also looking to his experience and insights in corporate strategy as a member of the senior leadership team in helping our restructuring efforts." Liddell, a New Zealand native, holds an engineering degree from the University of Auckland and a master's degree in philosophy from Oxford University in England. Once Liddell joins GM, Young is staying on as vice president of international operations. GM said last week he would report to international President Tim Lee beginning Feb. 1. Young will lead the unit's finance activities and have other roles “clarified in the near term,” GM said. The international business comprises Latin America, Africa, the Asia-Pacific region and the Middle East. The search for Young's replacement tested the salary caps placed on the bailed-out company by U.S. pay czar Kenneth Feinberg. He cut cash salaries for the top GM executives by 31 percent and allowed only one executive, aside from then-CEO Henderson, to make more than $500,000 for 2009. GM has not identified that executive. Whitacre said last month the salary limits made hiring from the outside difficult. He urged a reconsideration of Feinberg's limits. A GM spokesman today declined to say whether GM had gotten lenience from the government on salary limits for hiring Liddell from the outside. The spokesman said the company might post more information in a regulatory filing.